the return to old memo-graphed underground publications? I’ve run a magazine out of Kinko’s. It’s not that easy! My personal hope is that MagCloud kickstarts a new generation of zinesters, people raised on the ease of publishing on the web, but who still hunger for the beauty and permanence of print. The last creative explosion in zines was kicked off by copy machine. 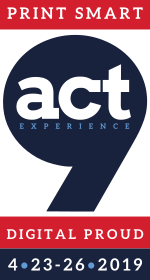 The next will be powered by print-on-demand coupled with the internet. 2. 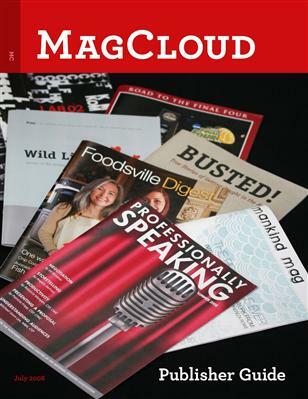 Do you view MagCloud as a publisher, printer or distributor? If I had to pick one of the three, MagCloud would have to be a distributor, because we partner with printers, and our goal is to enable our members to become publishers themselves. But, really, MagCloud is is a connector. 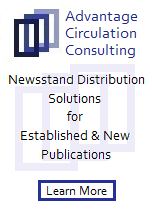 We connect publishers to their audiences, printers with magazines, readers with magazines, etc. We see an enormous opportunity to breathe new life into the magazine biz, if only publishing was as easy and accessible as the web. real magazine (i.e. mass distributed magazine)? We’ve got a pretty loose definition of what a magazine is. But, in general, if you print on paper, on a schedule, to subscribers, we think you’re a real magazine. The whole idea of mass distribution comes out of embedded expectations about the economy of magazines. You can only make money in traditional magazines at scale, because it’s just not cost-effective to do small print runs. 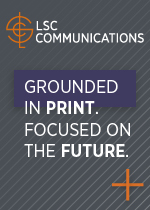 But that’s a technology problem – traditional offset printing is just too expensive to do in small batches. But what if it wasn’t? If you look at the cost per page of printing, traditional offset printing is actually getting more expensive because of rising paper costs, but the cost per page of print-on-demand is getting cheaper/better/faster ever year. As price points merge, and it will cost just as much/little to print a single copy as a thousand. That change is happening now, and the industry is just beginning to notice. titles coming through the pipe line at MagCloud? Absolutely, only this time, we want to empower other people’s magazines. The math here is simple: If it was easier to make magazines, more people would do it. More magazines means more potential breakout hits. Too many great magazines don’t get made today because the business of printing and distribution is so hampered by inefficiency. biggest challenge you think it is facing? Young people are abandoning print magazines for the web – they have been for years. The way to bring them back is to put them in charge and see what they make. It’s easy for the pros to scoff at this idea, but remember that groups of amateurs have made some pretty amazing things online (insert inevitable Wikipedia reference here). And remember, MagCloud is not just for the amateurs. The pros are bound by the same difficulties. Show me a dozen editors and I’ll show you a hundred magazine ideas that would exist if only it was a little easier. Not to mention all the content remixes and short-run editions professional publishers could put together on a system like MagCloud. marketplace or technology will replace print? I think that we’re still figuring out what kind of stuff belongs in print, and what doesn’t. Remember that, for years, if you wanted to find out what the weather was like in a certain place, you bought a book. A Farmer’s Almanac. Putting that kind of variable data on paper seems crazy now, because we have a better way to do it. So, yes, technology will drive some print products to their grave. Personally, I would not want to be running a traditional news weekly right now. But I we both know that print is not dead. There’s content that really belongs in print. Look at the success of Make Magazine, photography journals, recipe books. We just need to figure out how print and web can stop competing and start collaborating. 7. What do you consider the single most important selling feature of MagCloud? That someone who’s fanatically into a topic area could create a magazine, build an audience, and actually make money selling it, without ever having to stuff envelopes. Hasn’t that always been the dream of independent publishing? So, magazine dreamers of the world there is no need to unite anymore for each and every one of you can have his own “cake” and eat it too… you are indeed on cloud nine with your ideas now, or should I say you are on MagCloud. Magcloud is something I have been following and hope to use in the near future. I think it’s a fantastic idea. (Its the same post at both the links – the first link is to a post on my newer blog, and the second link is to a post on my older blog). I have no patience for Derek Powazek. I find his information trite and outdated, his style grating and his presentations beyond dull. His only relevant skill seems to be a stint at a state college newspaper. FAIL.